Are you itching for some new Mega Man? Well, so am I, but that's not happening any time soon. 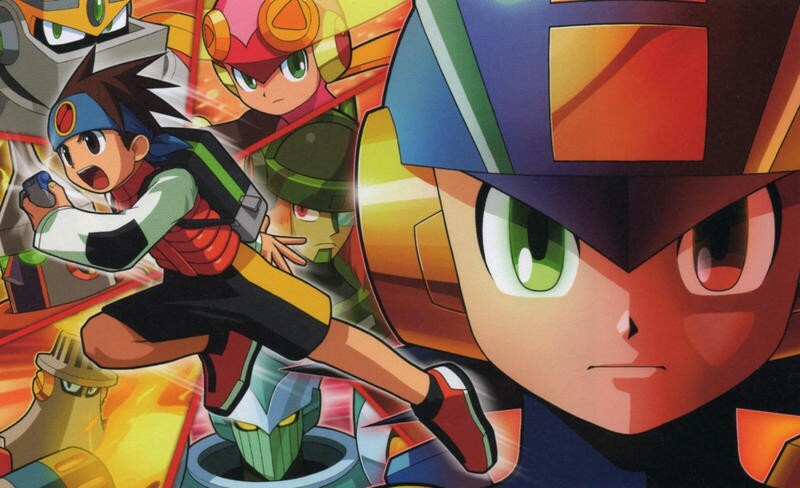 Instead, you have another chance to dive into the older library thanks to the efforts of the Game Boy Advance Virtual Console on Wii U. Capcom has confirmed with Nintendo that Mega Man Battle Network will be available on July 31. The Mega Man Battle Network games are a strange bunch. Excellent combat which feels like a natural RPG fit for the Mega Man universe is somewhat bungled up by its kid friendly setting. Not that kid friendly settings are inherently bad, but I remember most of my time playing these games when they were new was most spent wondering "When can I fight again?!" That being said , the first two games are definitely worth checking out. Back in the day, they brought a bit of imagination and excitement to the aging franchise with an original twist that was genuinely fun. Like most Mega Man sub-series though, fans agree that it got a little stale by the third entry and was totally irrelevant went it closed down at the sixth. Mega Man might not be seeing any new games in the near future, but far and away, the best way to experience his classic games from the NES, the Super Nintendo and even the Game Boy Advance has been the Virtual Console on both the Nintendo 3DS and Wii U. I've blasted through Mega Man 2 on my 3DS quite a few times, played the Game Boy Mega Man V for the first time, and rediscovered that Mega Man 6 is actually a pretty decent game. Mega Man X is also always a blast to waste an afternoon on. The Mega Man Battle Network games are a more than welcome addition. It seems like all we have waiting now is a digital channel for Mega Man Legends on PlayStation 3. Can't happen, Capcom says. Sorry guys.